PUWER is the abbreviation for Provision and Use of Work Equipment regulations 1998. These regulations cover any equipment which is used by an employee at work from lifting equipment, motor vehicles and circular saws to knives, ladders and laptops. If employees are allowed to provide their own equipment it will also be covered by PUWER and it will be the employer’s responsibility to make sure it complies. The comply with the regulations you must ensure that the work equipment provided meets the requirements of PUWER, it must be used for suitable purposes and under the right conditions, to ensure that people’s health and safety is not put at risk. Equipment must be maintained and inspected, to make sure that it continues to be safe for use. Inspections should be carried out by a competent person and a record kept which should be updated at the next inspection. The risks identified during your risk assessment relating to using equipment should be eliminated or controlled when possible as far as is reasonably practicable by providing suitable guards, using protection devices, using control systems such as emergency stop buttons and personal protective equipment and providing adequate instruction and training. Machinery safety is vital. Working with machinery can be dangerous, moving parts of machinery can trap or draw parts of the body, sharp edges can cause cuts and serious injuries, sharply pointed parts could stab or puncture the skin. Machines that emit steam or water could cause scalds or burns and electrical safety can cause electric shock and burns. Before use, mechanical equipment should be checked to make sure that it is free from defects, complete with all safeguards fitted. Training and instruction have been provided and ensure the appropriate use of safety equipment and supervision where required. Make sure that individuals using the equipment have the knowledge and risk awareness to use the equipment and that they are physically suited to the task. When planning under PUWER, consider the work area that the equipment will be used in. Is it clean tidy and clear of obstructions to avoid any slips, trips or falls and is it well lit? Consider using signs or barriers. 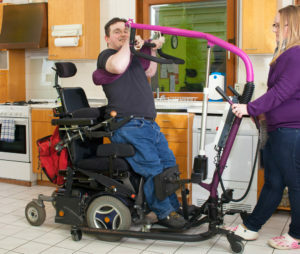 Mobile work equipment that is used for carrying people must be fit for purpose and used in a safe manner in a safe environment, where you can ensure stability and make sure that there is no risk of it rolling over or presenting a danger to the people being carried, the operator or anyone else. The other regulation linked to PUWER is the Lifting Operations and Lifting Equipment Regulations.